Yearly eye examinations are crucial to diagnose, treat, and manage any eye diseases that may potentially lead to vision loss, especially those who are asymptomatic. Many eye diseases such as malignant tumors, glaucoma, macular degeneration, diabetic retinopathy or any other systemic related eye diseases may not have any initial signs or symptoms. If, however, these diseases go undiagnosed or untreated, they can lead to vision loss or even blindness. More importantly, annual eye examinations are the key to maintain good ocular health and vision. 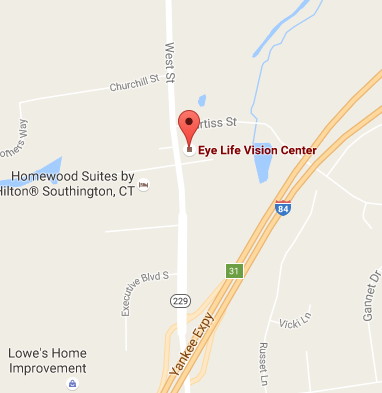 Your experience at Eye Life Vision Center will begin with a personalized and thorough case history where we will learn about your health history, visual or ocular problems. This extensive history is needed in order to tailor an exam to your individual needs so we can best help you to get the optimal experience. We may also take a photo of your retina to screen and document any abnormalities or diseases such as glaucoma, retinal detachment, vascular diseases, etc. The retinal camera is an invaluable piece of equipment that is not only important for documenting findings in your eyes, but also allows for serial comparison over time, as well as being a great patient education tool. Next, we come to the part that matters the most to you. Refraction! Working with our skilled doctors, we will take our time to accurately determine your spectacle and contact lens prescription. Our goal is to make sure you to see your very best. Although most patients think that their prescription for contacts or glasses is the most important part of the examination, the ocular health evaluation is equally if not more important. Without good ocular health, it will be inevitable that your vision will also decline. Therefore, we take great pride in detecting, monitoring, and treating many ocular diseases. We can accomplish this goal with an dilated retinal exam. Our doctor will be looking for signs of eye diseases such as cataracts, glaucoma, macular degeneration, peripheral retinal conditions such as tears and detachments. The condition of the retina can also provide a window to how well systemic diseases such as diabetes and hypertension are being controlled. With almost 10 years of patient care in both private practice and a hospital setting, you can rest assured that you are in good hands. We also know the proper time of when to refer you to a specialist when a referral is warranted. After your examination, our doctor will review the results of all the testing with you. Any abnormalities or diseases found during your examination will be discussed with you as well as the best treatment plans. We will explain every detail to you in a way that you can easily understand. Our doctors strongly believe that patient education is the key to helping us managing your eye condition. Being a well-informed patient will help us to maintain the integrity of your eye health and keep you seeing well for a long time.